Google’s artificial intelligence is poised to drive its Smart Home ambition, while the new Google Assistant platform will enable voice commands for a variety of smart home and mobile app services. It will enable you connect to your favorite apps and services simply by issuing voice commands, eliminating the day-to-day tasks of manual selection and clicks. 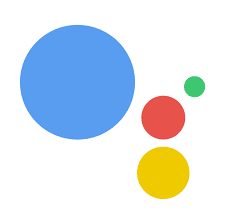 Google has announced a working model for developers, Actions on Google, which will be available starting next month, to enable them to create voice commands on Google Assistant for their apps and services. The developers model comprises of direct actions, conversation actions, and the embedded Google Assistant SDK. While the embedded SDK is for developers who want to put Google Assistant inside of their own hardware, meaning Google is open for it to be more widely available across different range of devices. Albeit, Google intends to push it out with its own products first, as Google Assistant is at the center of it’s efforts to automate numerous aspects of users life, which eventually, will have supported apps and services and the Assistant built into several different smart home model and mobile devices.